Jaguar, a luxury sedan automaker is apparently designing a new saloon for challenging the upcoming models such as Mercedes Benz CLC Class and Audi A3. The British automobile manufacturing company is planning to launch the all new front wheel drive sedan in United States along with emerging Chinese and Indian markets by the year 2015. 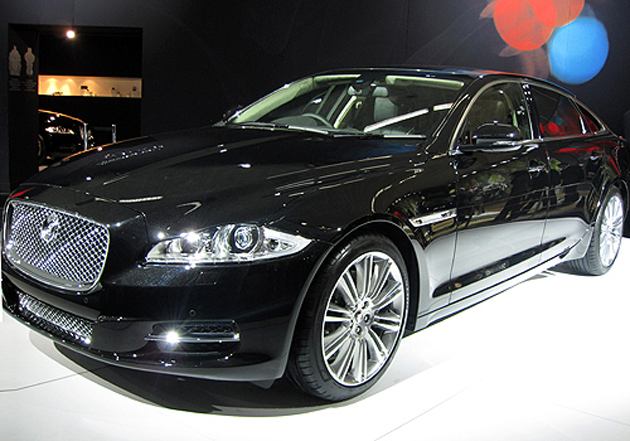 In addition, Jaguar is pondering to design and develop the sedan at their production facilities in China and India. The four-door Sedan will be 4.5 meters long and is available in roadster and coupe body styles. In terms of looks, the sedan might not adorn ground-breaking appearance, but will carry forward classy cabins for maintaining a premium image. The Jaguar will feature a best-in class interior with state of the art technology along with quite a few sophisticated features from a large display screen to multimedia controls and navigation system with connectivity features onboard. It is expected to share the LR-MS platform of Range Rover Evoque of Land Rover, which was recently launched in sport utility vehicle and three-door coupe body styles. A Chief Technical Specialist of Jaguar said that they are working uncompromisingly for bringing maximum weight reduction in the vehicle with combination of aluminium and steel. Jaguar is also focusing on the fuel economy and is putting full effort for designing and engineered front wheel drive vehicles to meet new emission Corporate Average Fuel Economy standards set by United States for restricting engine emissions to just 100kg/m of CO2. The all new Sedan is expected to be available in three different engine choices such as 1.5 liter three-cylinder; 2.0 liter turbocharged and 1.8 liter four-cylinder engines along with diesel powertrains mated with either nine-speed automatic or eight-speed automatic transmissions. It will be exhilarating, contemporary and beautiful with wonderful combination of innovative thinking, stunning design and intuitive technology.